How Soon After I File For Bankruptcy Can I Buy A New Car? In a surprisingly shorter period of time than you may think. The filing of a Missouri bankruptcy allows for what is called a “fresh start / clean slate“. This means that once a discharge of your unsecured debts (like credit cards, medical bills, payday loans, etc.) occurs, you are in a perfect position to move forward with life. This would include opportunities to purchase big ticket items, such as a new car. More often than not, when you are dealing with aggressive creditors and collection agencies, your stress level is pretty high. This is especially the case when you have lost your job, or if your hours have been severely cut. Financial stress can cause families to fight, relationships to fray, and your self-esteem to wither. But there is a definite light at the end of this tunnel. The discharge of debts through a St. Louis bankruptcy can open the door to a whole new world. If for instance you are in need of a new car (because your current one does not run very well, or the one you have has an incredibly high interest rate attached to it, or even because the one you own right now just barely makes it down the street), you might first go to look into buying a new one. But when you attempt to purchase it, the dealer is very hesitant to negotiate a deal with you because of your credit rating. When you file a St. Louis Chapter 7 or a St. Louis Chapter 13, you can simply surrender the car through the bankruptcy. This means you hand the car over to the dealer / creditor, and if there is some sort of deficiency that results, that debt will be discharged (along with the rest of your debts). In a Jefferson County, MO Chapter 7 bankruptcy, you will be able to start looking for a new car the day after your case is filed. In a Missouri Chapter 13, your attorney will simply need to inform the Trustee and court of your wish to purchase a new vehicle. Regardless of which chapter of bankruptcy you file, it is very important that you seek the advice of a knowledgeable attorney who is an expert in this particular field. It is imperative that you gain as much information as possible to make the best decision for you and your family. 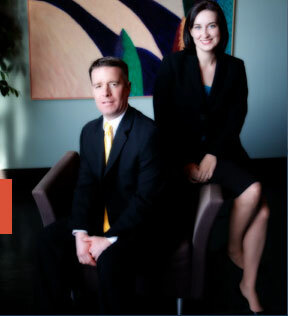 The affordable St. Louis bankruptcy attorneys at Brinkman & Alter, LLC have been helping people through their financial hardships for over ten (10) years. Our goal is to get you the fresh start / clean slate that you deserve, put you back on your feet, and get you moving in the right direction. We have two locations: in the Central West End, at 1 North Taylor, St. Louis, 63108; and in the Twin Cities of Festus / Crystal City, at 1000 Truman Blvd (Highway 61/67) 63019. The initial consultation is free of charge. So contact us today to learn more! !